Tracy has been featured several times in Fine Gardening. You can access one of the articles on dead-heading by clicking here. She also appears frequently on Martha Stewart Living Radio’s “Living Today” program on Sirius/XM satellite radio, as well as NBC4 in Columbus, Ohio. February 15, 2017 Timber Press “An interview with Tracy DiSabato-Aust” By Timber Press Read it here. June 26, 2010 The Charleston Gazette “Into the Garden: To deadhead, or not to deadhead?” By Sara Busse Read it here. April 7, 2010 The Columbus Dispatch Central Ohio Home & Garden Magazine “Garden Variety” By Katherine Harben, Special Sections Writer Read it here. October 27, 2009 BigBlendMagazine.com “South American Gardens and Landscapes Lessons for North American Gardeners” Read it here. July 2, 2009 OregonLive.com (Portland, OR) “Book spotlights 50 dazzling, no-pamper plants” Read it here. June 1, 2009 Chicago Tribune (Chicago, IL) “Power plants: Perennials with high impact, low demands” Read it here. May 22, 2009 Carman Valley Leader (Carmen, Manitoba, Canada) “Taking steps to develop a high output but low input garden.” Read it here. May 20, 2009 herRochester (Rochester, New York) “Hostas, bulbs give garden a pampered look.” Read it here. April 26, 2009 Anchorage Daily News has a Q &A with Tracy. Read it here. April 18, 2009 Examiner.com reviews “50 High Impact” book. Read it here. April 17, 2009 The Modesto Bee gives “50 High Impact” a positive review. Read it here. March 30, 2009 Tracy is mentioned by the KCGardens blog of the Kansas City Star. Read it here. March 22, 2009 Susan Reimer of the Baltimore Sun reviews Tracy’s “50 High Impact” book. Read her comments here. March 15, 2009 Tracy’s new book is mentioned in the Suburban Chicago Daily Herald. See article here. 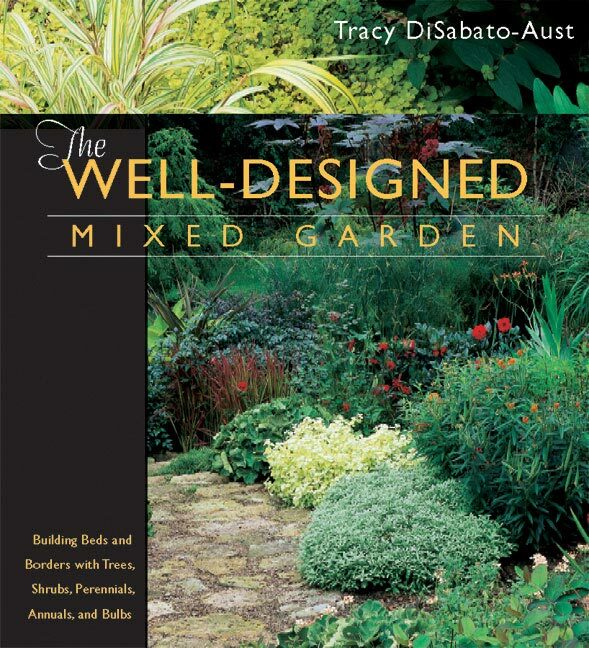 March 14, 2009 The Garden Design Books blog reviews Tracy’s second book “The Well-Designed Mixed Garden”. Read the article here. March 13, 2009 The Seattle Times expands on Tracy’s ideas to save time in the garden. Read the article here. March 5, 2009 Peter F. Sleight reviews “50 High Impact” in the Hartford Courant. Read the article here. March 3, 2009 Lori Geistlinger tells a funny story on the blog, Dave’s Garden about how often she has checked out Tracy’s book, “The Well-Tended Garden” at her local library. Read her story about gardening books here. March 2, 2009 The Christian Science Monitor gardening blog links to Tracy for money-saving garden tips. See the article here. March 1, 2009 Tim Feran of the Columbus Dispatch did an extended article about Tracy, her books, and an upcoming event in her hometown. Read the article here. February 28, 2009 The Librarianne blog recommends “50 High Impact” and gives it a positive review. Read the post here. February 25, 2009 Marianne Binetti reviews “50 High Impact Plants” in the Seattle Post-Intelligencer. Read her review here. February 23, 2009 The Garden Time blog covers Tracy’s appearance at Al’s in Portland, Oregon. Read the post here. February 22, 2009 Kim Brown reviews “50 High Impact” in the Tulsa World. Read the article here. February 20, 2009 The South Bend (Indiana) Tribune mentions Tracy’s new book. Read the article her. 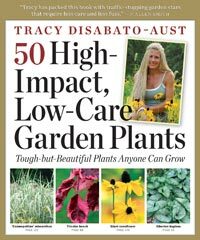 February 19, 2009 The Guildwood Gardens blog rates Tracy’s first book as their “Favorite of All Time”. Read the post here. February 17, 2009 Judy Lowe of The Christian Science Monitor blogs about the article on TracyLive.com about growing vegetables. Read it here. She also does an article about plants in the book that should thrive in Oklahoma. Read it here. February 13, 2009 Candy Williams writes about Tracy and the new book in the Pittsburgh Tribune Review. The article is titled “Gardens Flourish with the Right Choices” Read the article here. February 8, 2009 Valerie Easton writes about Seattle’s Northwest Flower and Garden Show and Tracy’s appearance at that event in the Seattle Times . Read the article here. February 2, 2009 Barbara Blossom Ashmun writes about “50 High Impact Plants’ in the Portland (Ore.) Tribune in her Garden Muse column. Read the article here. Barbara is also the author of the book “Married to My Garden” and has a blog that can be read here. January 31, 2009 The Akron Beacon-Journal writes about the new book. Read the brief article here. 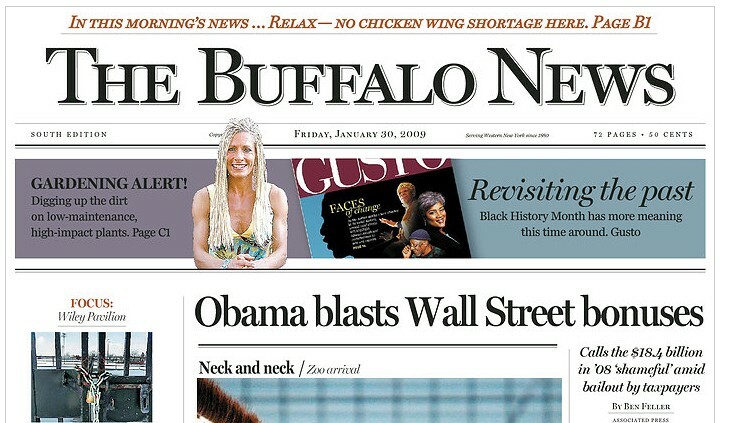 January 30, 2009 Tracy’s photo appears on the front page and Paula Voell of The Buffalo News profiles the “50 High Impact” book in an article that can be read here. January 24, 2009 Tracy appears on Garden Gossip and is profiled in the online publication BigBlendMagazine.com. Read the article and listen to audio of the show appearance here. January 21, 2009 Roxanne Washington profiles Tracy in the Cleveland Plain-Dealer. Read the article here. January 19, 2009 Mary Emma Allen writes about Tracy’s tea party to launch “50 High Impact” on her blog “Tea Time Notes”. Read her comments here. January 18, 2009 Sara Busse of the Charleston (WV) Sunday Gazette-Mail reviews Tracy’s “50 High Impact” book. Read her review here. January 15, 2009 Kym Pokorny of “Dig In With Kym” in the Portland Oregonian provides a great review of “50 High Impact Plants” in her article “Book recommendations, old and new”. Read it here. December 13, 2008 Mary Ann Newcomer writes on Idaho gardening for the Examiner.com website and she gives a very strong recommendation for The Well-Tended Perennial Garden as a Christmas gift for the beginning gardener. Read her post here . December 11, 2008 The Vancouver Financial Post recommends one of Tracy’s books as a great holiday gift. Read it here. December 7, 2008 Jane Martin recommends Tracy’s newest book in the Columbus Dispatch . Read her column here. 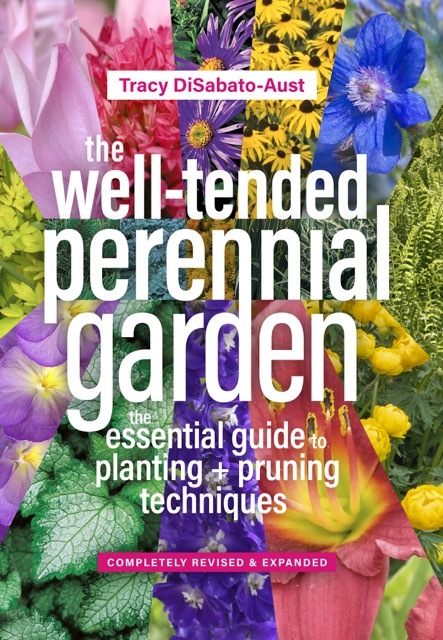 December 6, 2008 The Well-Tended Perennial Garden is recommended as one of the top twenty books to give a gardener by the New York Botanical Gardens. Link here. December 5, 2008 Tracy is mentioned by Michael Mills in the Philadelphia Inquirer. Read his column here. December 4, 2008 One of Tracy’s books is recommended as a holiday gift by the Lilacs and Roses blog. Read it here. November 28, 2008 The Welland Tribune recommends Tracy’s book. Read it here. October 30, 2008 – Tracy is referenced by Stephen Orr in The New York Times . Click here to read. October 20, 2008 – Tracy is mentioned often on iVillage’s GardenWeb . Click here to read some of the posts about her. October 14, 2008 – The blog GARDEN mentions Tracy’s first book. October 14, 2008 – David Chinery, the horticultural educator for Cornell Cooperative Extension of Rensselaer County quotes Tracy in an article for The Independent (Columbia, NY). Read it here . September 28, 2008 – Noel’s Garden Blog talks about the “Tracy Chop”. Read the post here. September 24, 2008 – KansasCity.com and The Flower and Terrace Garden Tips blog reference Tracy’s first book. Read the post here. September 11, 2008 – On The Patient Gardener Weblog , Tracy’s book is quoted. Read the post here . September 10, 2008 – Lawn and Landscape Magazine announces Tracy’s participation in the 2008 Professional Grounds Management Society (PGMS) School of Grounds Management & GIE+EXPO taking place October 22-25 at the Kentucky Exposition Center in Louisville, Ky. Click here to read. August 24, 2008 – Financial Times weekend columnist Robin Lane Fox quotes Tracy on “deadheading”. Click here to read. July 18, 2008 – Helen Yemm lists one of Tracy’s books as a definitive reference guide in an article in The Daily Telegraph (London). Click here to read.